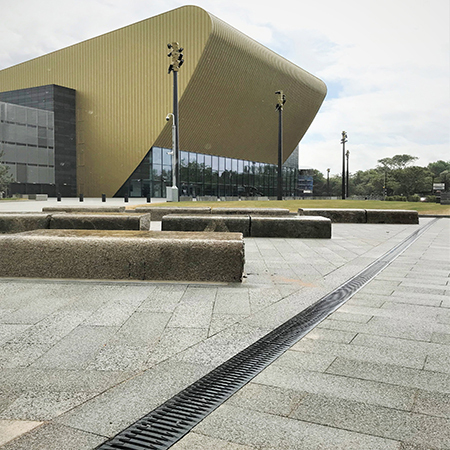 An effective surface water drainage system was installed to ensure all weather access to the £36m state-of-the-art music and events complex. 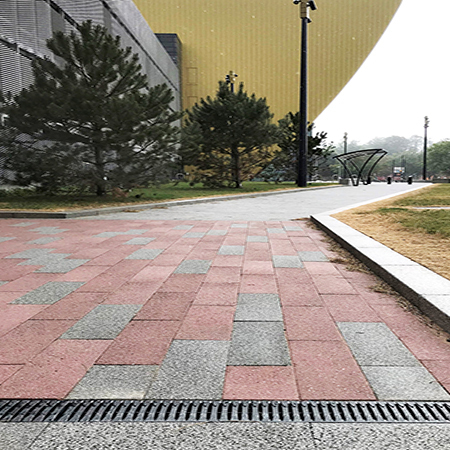 140 metres of Hauraton RECYFIX® PRO 100 channels with FIBRETEC® heel-safe gratings were chosen for the job which blended well with the stone paving and would resist damage from applied grit rock salt in freezing weather. 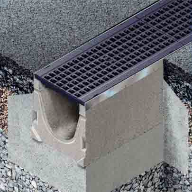 The material, PA-GF used to make the FIBRETEC® grating, was specially developed by Hauraton; the tough, UV resistant, fibre reinforced moulding offers high stability and huge strength for its weight. 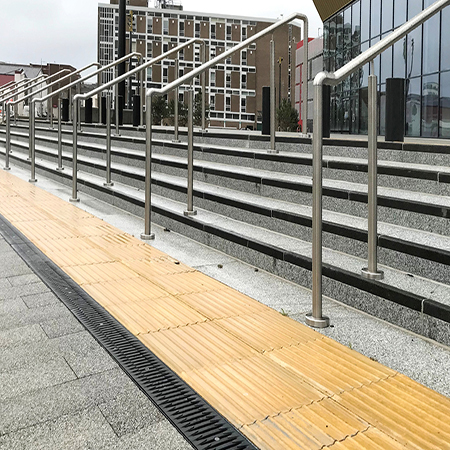 Complying with loading category Class C250 (BSEN 1433) the grating can easily take the weight of commercial delivery vehicles. 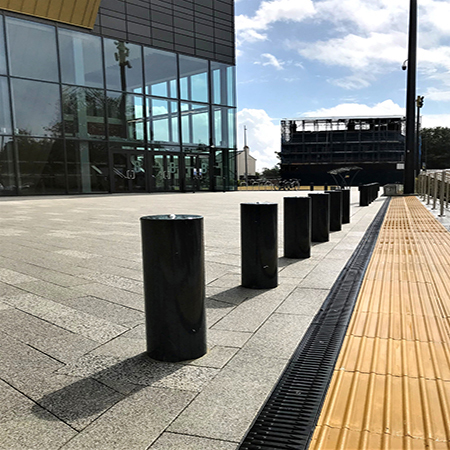 The non-corrosive material provides a visually appealing surface finish that retains its colour. 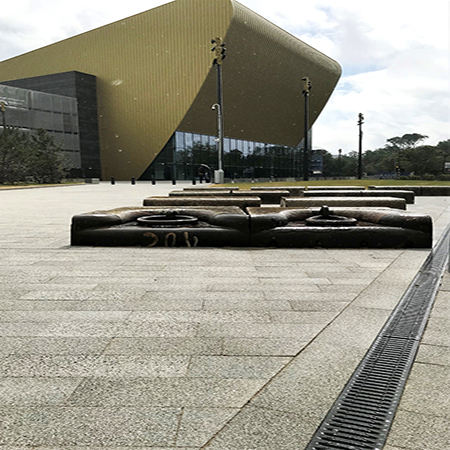 The slots are super smooth, elliptical openings with the moulded bars having slightly raised triangular bosses along their outside edges. 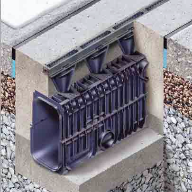 The RECYFIX® channel component is made from 100% recycled PP. 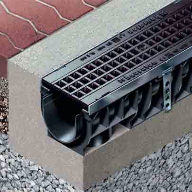 The PRO 100 model is factory fitted with the FIBRETEC® grating and only weighs 4.6kg.